SINGAPORE/ HONG KONG, CHINA – Media OutReach – 13 September 2018 – MC Payment, a homegrown fintech player, announced the soft launch of Instapay, a B2C payment platform targeting Indonesian Small-Medium Enterprises (“SMEs”) market. Instapay enables merchants and their customers to simplify payment transactions, by using social messaging apps such as Whatsapp and Line to facilitate payments. Approximately 1000 merchants have signed up and utilized the payment services to date. Instapay is a mobile application that provides businesses with the ability to invoice their customers via social media and accept various payment methods. It can be performed quickly, easily, securely, anytime and anywhere. Instapay can help small business owners expand into international markets and accept international credit cards. It can also accept credit card payments without website integration or EDC machine. Many industries look to benefit from the convenience offered by Instapay. The wedding industry for instance has many sole-proprietor businesses such as florists and tailors who will benefit. Similarly, small retailers selling shoes and fashion accessories online as well as small-to-medium hotels and villas in the tourism industry will benefit from the enlarged consumer market size. This is in tandem with Indonesia’s “Ayo UMKM Jualan Online” (Let SMEs Sell Online) campaign1, which is aimed at attracting and persuading SMEs across Indonesia to sell products via online marketplaces to increase profits and prosperity. Several government bodies that have taken part in the campaign include the Communications and Information Ministry, the Cooperatives and Small and Medium Enterprises Ministry and the Creative Economy Agency (Bekraf). 6 online marketplaces who were involved are; Blibli.com, Tokopedia, Bukalapak, Shopee, Lazada and Blanja.com. The Indonesian government has set the goal of letting 8 million SMEs go online by 2020. As of 2017, there are a total of 59.26 million SMEs operated in Indonesia. However only 3.97 million SMEs were active online. On 27 April 2018, MC Payment as well as its shareholders and bondholders entered into a conditional sale and purchase agreement with Artivision Technologies Ltd. (a company listed on the Catalist board of the SGX-ST) for Artivision Technologies Ltd. to acquire all the ordinary shares and convertible bonds issued by MC Payment. The proposed acquisition, when successfully completed, will result in a reverse take-over. The proposed acquisition and its due diligence are in progress and have not been completed as at to-date. This announcement has no material effect on the proposed acquisition. 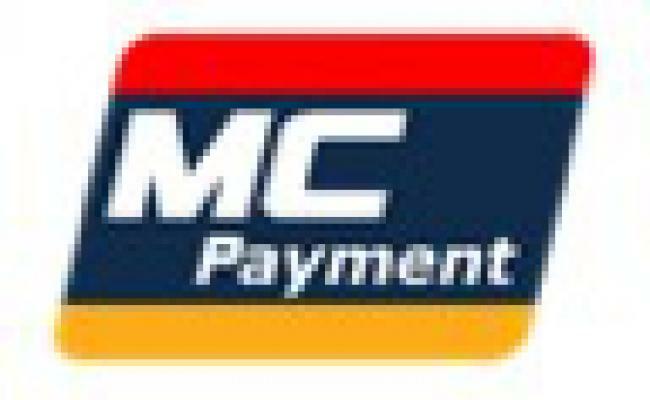 Founded in Singapore in 2005, MC Payment is an established provider for electronic payment solutions in Asia Pacific. It is both a payment technology and merchant service company that supports the end-to-end value-chain of commerce transactions, ranging from suppliers and merchants to consumer payments. As a pioneer omni-channel and omni-payment provider in Southeast Asia, MC Payment also boasts blockchain enabled solutions as part of its suite of payment solutions, remaining at the forefront of the mobile and digital payments while supporting merchants with traditional online and in-person payments.